Compatible with iPhone, Android Phones & Windows PC. This endoscope is a must have for every tool box. With its HD resolutions and ultra-thin design, it brings perfect imaging of those hard to reach places. 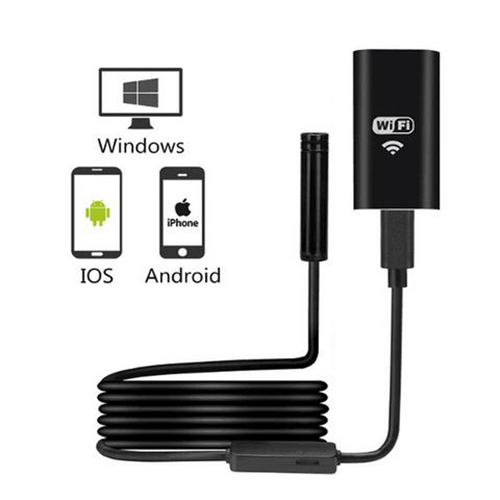 At just 8mm thick and with an IP67 waterproof rating this tough and ready endoscope can be used to explore in the harshest environments, perfect for construction, engineering and plumbing work this is the indispensable gadget that no workman should be without. With 6 bright LEDs built in you will be able to see clearly in dark enclosed areas. 2M Pixel high resolution CMOS camera, HD 720P. 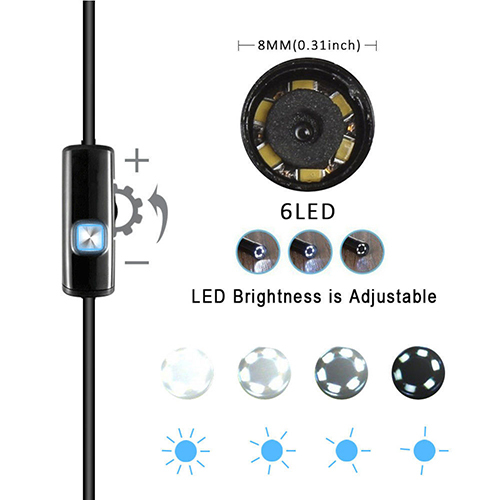 6 Led Lights, brightness adjustable. Wifi box has built-in 500mAh battery, can work for 45 minutes, charge via 5V power.